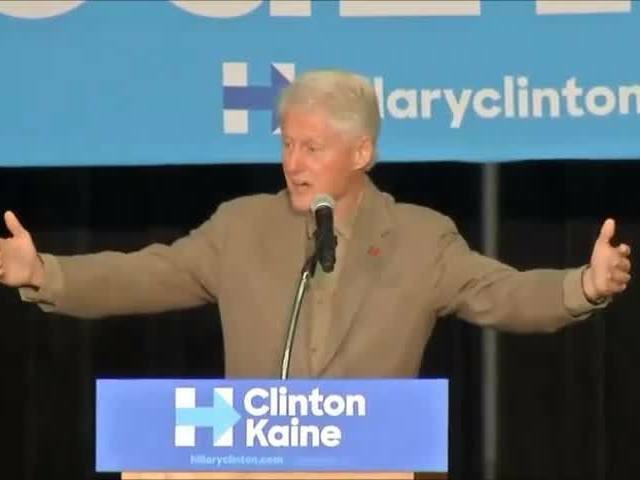 President Bill Clinton made several Florida campaign stops in favor of Hillary Clinton Tuesday, but one comment he made in Fort Myers is leading some to accuse him of demeaning Trump supporters. In a section of his speech discussing working together to go into the future, Clinton describes growing up among Trump's base supporters, calling himself a "standard redneck." That comment is not sitting well with some who interpret the comment as Clinton calling Trump supporters rednecks. The comment recalls similar comments by Hillary earlier in the campaign, calling Trump backers a "basket of deplorables" who are "irredeemable." 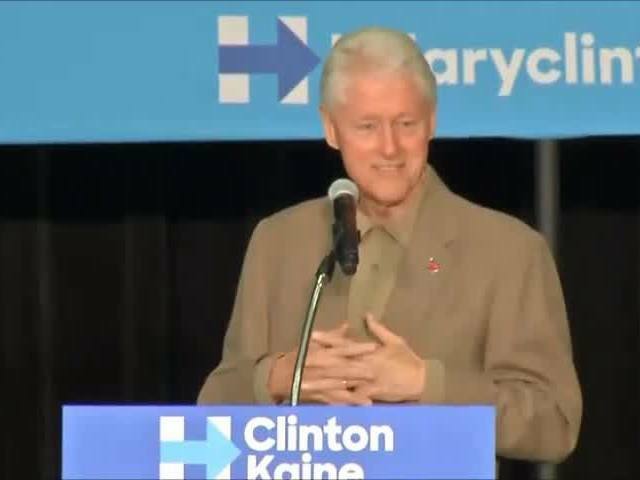 Below are Bill Clinton's complete comments in context. "That's the first thing; you gotta make a new economy. That's what makes America the best; we're always making new greatness, new greatness. And we're always doing it by increasing opportunity and widening the circle of people who can seize it. And secondly, I said Hillary doesn't want to move you up on the totem poll, and she doesn't want anybody to be above you. She wants to tear the totem poll down so we can go into the future together and all rise together. And so...so I told them, I said...so she asked me to come down here and say 'you go on and vote for whoever you want to.' But if she wins this race, she's coming back for you, because she want you to go into the future with the rest of us. People need to feel valued. And that's what I want to ask you...all of you. Don't engage in our version of all this screaming. Go out there and look people in the eye who aren't going to vote for her and tell them we still want them to be a part of America. Tell them we need them. You know...look man. The other guy's base is what I grew up in. You know, I'm basically your standard redneck. I was the first person that ever went to college in my family. I had a grandfather who I told you was a saint, and he and my grandmother fought all the time. And the only thing they agreed on was education and civil rights. He had a sixth grade education, she had a correspondent's degree in nursing. They knew we were all the same. So I deserve no credit for what I tried to do. I was just raised that way. But I know how they feel. And I'm telling you, the older you get the worse it is, if you look in the mirror every day and you think you can't do anything to change the future. And a lot of you have felt, we've all had days like that, haven't we? Days we can live with; months we can live with; years, a decade, that's a tough sell."